This antioxidant fruit salad is easy to prepare and full of flavor and fiber. Who said eating healthy can’t be delicious AND nutritious? 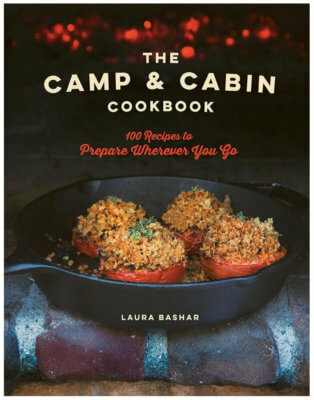 I get my inspirational recipes from many sources. I have my magazines, from Cook’s Country to Family Circle. You’ll catch me tearing out recipes from magazines I find at the doctor’s office or at the accountant’s office! My mom and her friends are always forwarding me favorite recipes. And of course, a picture is priceless when it comes to selling me. If it looks good enough to eat, of course, I have to try it. Rich colors, juicy fruits… Yum! I also love watching the Food Channel. When my kids were babies, I would find myself nursing each child and watching a food show to get inspired. Or if they were sick and could only sleep in my arms, I would spend afternoons parked on the couch, afraid to move and wake them from their much-needed nap. Now that they are older and in school, I don’t have as many chances to sit and watch t.v. without the housework beaconing me to pay attention to it. But one Saturday morning, while preparing breakfast, I was watching Nigella Lawson cook. I love her attitude towards food, it’s more of a love affair. She made this simple fruit salad that is full of fiber and antioxidants: mango, blueberries, pomegranate. These are fruits my kids love and of course, I happen to have them in my refrigerator. It’s easy to make and the kids LOVED it. Sweet AND nutritious AND kid-friendly?? Are you kidding me? 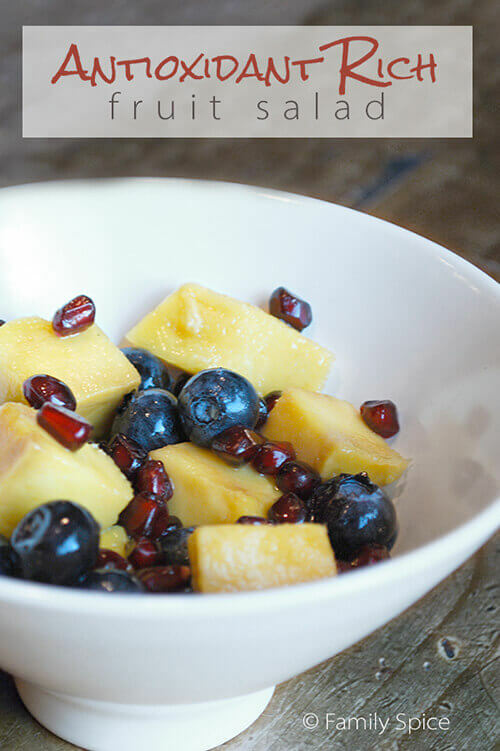 You can find the full details here for this antioxidant fruit salad. Of course, Nigella ended the show with a chunk of dark chocolate. Hey, it’s full of antioxidants, too! Score in a criss-cross pattern the flesh of each mange half with a knife. Each square should be approximately 1/2-inch. Push the diced mango outwards and then slice the squares from the skin and into a bowl. Gently remove the pomegranate seeds from the membranes and add to the mango. Serving Suggestions: Delicious for breakfast or when you need a great pick-me-up when you are dragging in the afternoon.